Back in 1957, when the British Queen delivered her first television message, she acknowledged the need to adapt to changing times. 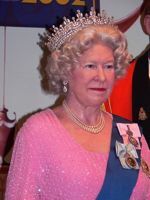 Fortunately, the Queen has kept up with the times, and her 2007 Christmas message will not only be available via Àú on YouTube, but via the Royal Podcast. The Royal Channel on YouTube features nearly a century of historical footage related to the Monarchy. The Christmas Broadcast or ‘Queen’s Speech’ for 2007 will appear on The Royal Channel at approximately 3pm GMT on Christmas Day. Add the Royal Feed to your podcast client, sync up your portable media player and Bob’s your uncle! Is this a sign that the Old Media (newspapers and tv) are giving way to the New Media (podcasts and Youtube, etc)?